I completely agree with you that to go the route of purposefully rejecting clear biblical revelation is akin to spiritual suicide. I have no confidence in any secular, philosophical or mythological approach to the scriptures or their full revelation of God. 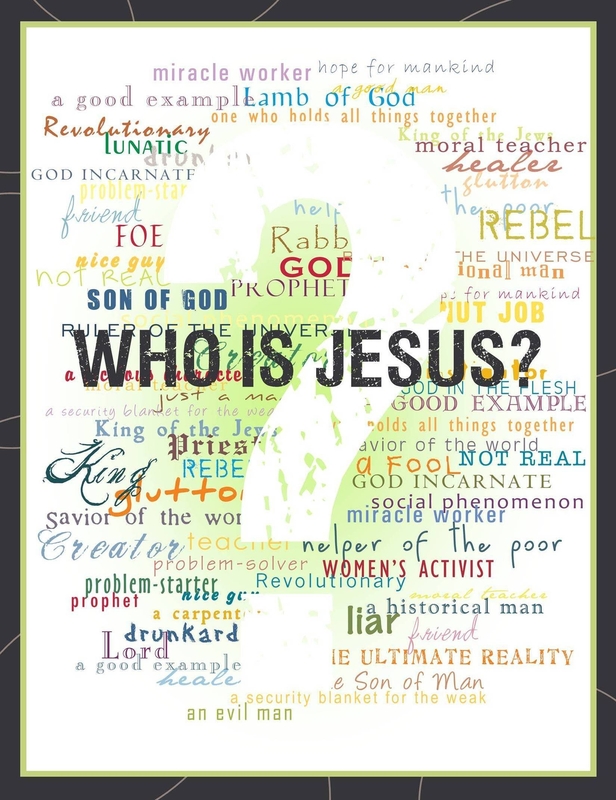 All that I am suggesting is that maybe (and I only say maybe because I’m still grappling with a lot of this) our understanding of Jesus could benefit from a reevaluation of who and what the messiah was and is. Our understanding of Jesus affects our understanding of the gospel & the nature of God and any misunderstanding of one effects all three. The position I am explaining is called Biblical Unitarianism or Christian Monotheism (This should not be confused with Universal Unitarianism – which teaches that everybody will be saved). Biblical Unitarians believe in the full inerrancy of the scriptures and the need to maintain a strict biblical faith, which includes a belief in One God YHWH, His messiah Jesus, and our need for salvation through Jesus’ death and resurrection. So I am not advocating an evolutionary approach or any other non-biblical model. What I am saying is that by starting with the premise that Jesus is God we automatically read that understanding into the biblical text. For the last 2 or 3 months I have been listening to audio readings of the New Testament. When I started I decided to approach each section with an open mind, listening for a clear indication that Jesus was God, without reading my own assumptions into the passages. What I found consistently was that Jesus always refers back to the Father alone as God and so does Paul (even in Romans 1-3) and the other N.T writers. There were a small handful of texts that I had to listen to a few times over as my mind automatically reverted to the old paradigm. After listening again and sometimes checking the Greek text and doing a little background study I am yet to find any conclusive evidence that Jesus is YHWH. There are some passages (like John 1) that may suggest (though other interpretations can be suggested) Jesus pre-existed before being born. Even if this is true it doesn’t necessarily make him YHWH. It is well documented that Jews considered those aspect of reality, like the law, the messiah and the election of Israel to have existed “eternally” in the mind of God. In addition the bible also says that John the Baptist was sent from God and Jesus asks rhetorically whether John’s Baptism was from heaven or from men – neither of these mean that John or his baptism pre-existed in heaven before John was born. Later in John 8:58 (still part of the same conversation in which the term is used three times and usually translated correctly twice), the majority of translations make no attempt to indicate that Jesus is still referring to himself as the Messiah and instead the reader is left with no other option but to think Jesus is referring to himself as I AM. It is also interesting to note that in the Greek LXX the focus of God’s self-revelation in Exodus is not even really on the “I am” but on what follows ego eimi ho on, translated as, “I am The One Who Is.” (Ex. 3:14 NETS). As such Jesus’ use of the first part of the statement without the next is nowhere near the divine name of Exodus. The truth is that the messiah existed, whether physically or potentially in the mind of God way before Abraham was ever born. Therefore Abraham placed his hope in the coming of the messiah as did every other faithful God follower throughout the ages. With regard to the Jews constant accusation of blasphemy, similar accusations are made numerous times throughout the bible (falsely and correctly) and not once is it used to indicate that the person is claiming to be God. Rather, in every one of the accounts where they do try to kill or capture Jesus, he has done two key things. 1) He has openly denounced the religious leaders (and those who follow them) for their false spiritual system – going so far as to claim that they are the children of Satan. As such he is claiming that their so-called worship of YHWH is in fact false. 2) He also affirms his Divine appointment as Messiah, claiming direct authority from God in everything he says and does. It is this outright condemnation of their entire false system (which the Pharisees, Sadducees and the like rule and propagate) that outrages them and creates in them the desire to kill Jesus. They accuse him of being possessed and he tells them that he represents God. They accuse him of blasphemy (dishonoring God) and he counters by telling them that they themselves are committing the unpardonable sin by declaring the work of God’s Holy Spirit to be the work of Satan – again condemning them. They accuse him of blasphemy, not because he is claiming to be YHWH, but because the religious elite and those who follow them are claiming to represent YHWH and instead Jesus is telling everybody that they represent the devil. During his trial they finally find two witnesses to accuse him of saying he will destroy the physical temple and rebuild it in 3 days – which they considered blasphemy (again being interpreted as dishonoring God – not claiming divinity). When he reaffirms that He makes those claims (though not their interpretation of the claims) as the Messiah and that they will see his power manifested when He is Seated at the Right hand of God they consider this enough evidence to have him killed. As to Jesus not correcting their interpretation of his claims to deity, I think he does. In the first part of John 10 Jesus asserts his appointment by God as the only way to attain salvation. At the same time he denounces the religious elite as hired-hands who have forsaken the sheep. Additionally he affirms that this teaching and his authority come directly from the Father. The next part of the chapter sees Jesus again denouncing the false spirituality rampant amongst the Jews and reasserting his right to judge by declaring that He and the Father are united in their mission – he and the Father are one. I don’t think this necessarily means they are one God – though this is usually the way we read it because of our preconceived ideas. [He later prays that his followers would be one with him and the Father in exactly the same way that he and the Father are One but we don’t take that to mean the Trinity will be growing in number]. When the Jews pick up stones to kill Jesus they say that he is claiming to be “a god”. Our English translations translate it “God” but this isn’t correct. Whenever the New Testament speaks about YHWH they use the Greek τὸν θεός (The God). Whenever they speak of gods (sometimes of men and also of heavenly beings) they simply use θεός (in its’ various forms), which is the case in John 10:33 and elsewhere. This is clear from Jesus’ reply in which he says being called a god is no big deal since the scriptures themselves call men gods (but not The God). 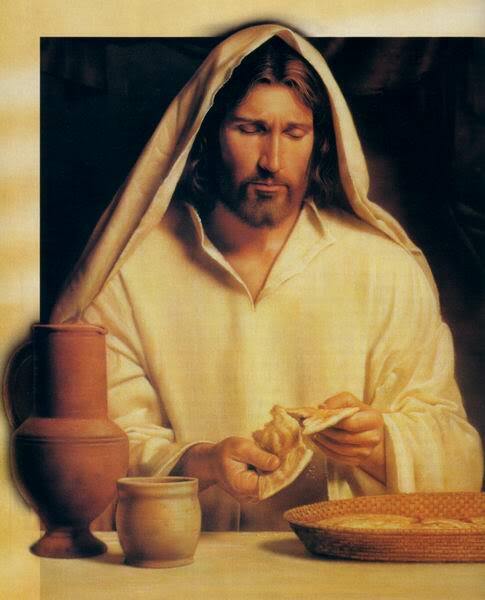 Jesus says he is the Son of God because he has been sanctified and sent into the world by the Father. He proves this by doing the works of the Father and shows that they are united in their mission. 34Jesus answered them, “Has it not been written in your Law, ‘I SAID, YOU ARE GODS’? 35″If he called them gods, to whom the word of God came (and the Scripture cannot be broken), 36do you say of Him, whom the Father sanctified and sent into the world, ‘You are blaspheming,’ because I said, ‘I am the Son of God’? 37″If I do not do the works of My Father, do not believe Me; 38but if I do them, though you do not believe Me, believe the works, so that you may know and understand that the Father is in Me, and I in the Father.” 39Therefore they were seeking again to seize Him, and He eluded their grasp. 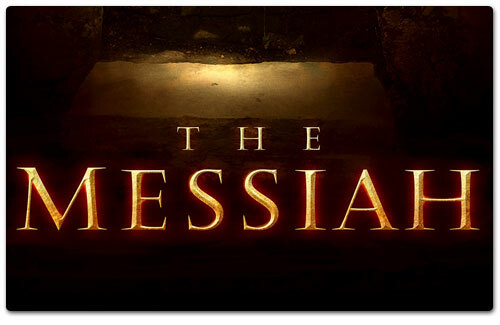 To conclude all of the above I would say that I’m still not convinced that the Messiah had to be YHWH. I’m open to him being YHWH but apart from always believing him to be I’m not finding the actual biblical evidence. I also re-examined messianic prophecies in the Old Testament. Not one of these prophecies indicate that the messiah would also be YHWH. Rather, if anything, they assert that the messiah would be a human being. It was Greek philosophy that deemed it necessary for Jesus to be God in order to save us. But the bible itself never says this. Jesus substitutionary death is based on his obedience to God and his sinless life – not on his being divine. If I am incorrect on this it shouldn’t be too difficult to show that his divinity was a prerequisite for his ability to save – but I am yet to find this expressed in the text. Rather, I find that just as “by a man came death, by a man also came the resurrection from the dead. For as in Adam all die, so also in Christ all will be made alive.” AND “There is one God and one mediator between God and men – the man Christ Jesus (emphasis mine from 1 Cor 15:21 and 1 Tim 2:5). The last point to deal with is perhaps the reason we struggle more than anything with an alternative to the accepted understanding of Jesus. You allude to it when you say, “if it’s one giant colossal conspiracy cooked up by the… great Christian thinkers throughout history through whom Christianity has been ‘crafted’.” How do we deal with such a potential compromise of the biblical message without becoming cynical or disillusioned? I suppose in a way it shouldn’t really surprise us. Protestants have long asserted that the early church went off track almost immediately after the death of the Apostles. My struggle to accept this fact is what drew me to Eastern Orthodoxy since I found it hard to believe that the church could apostatize so early in its’ history. But we already affirm this through our choice to disregard countless decisions of the historical church. Consider for example that in addition to affirming the deity of Christ the Nicene council also promulgated 20 other doctrines for the entire church. The subsequent councils also promulgated volumes more. Yet we are convinced that most of these laws and doctrines are baseless and unbiblical but continue to stand by the decisions of these councils on matters of the Godhead. It seems to me that if we believe they were wrong about all these other matters they may have been just as wrong on such weighty issues as the Father, Son and Holy Spirit – As Paul said, a little leaven leavens the whole lump. While Jesus has been a central figure in my thoughts lately, this struggle is far from new. 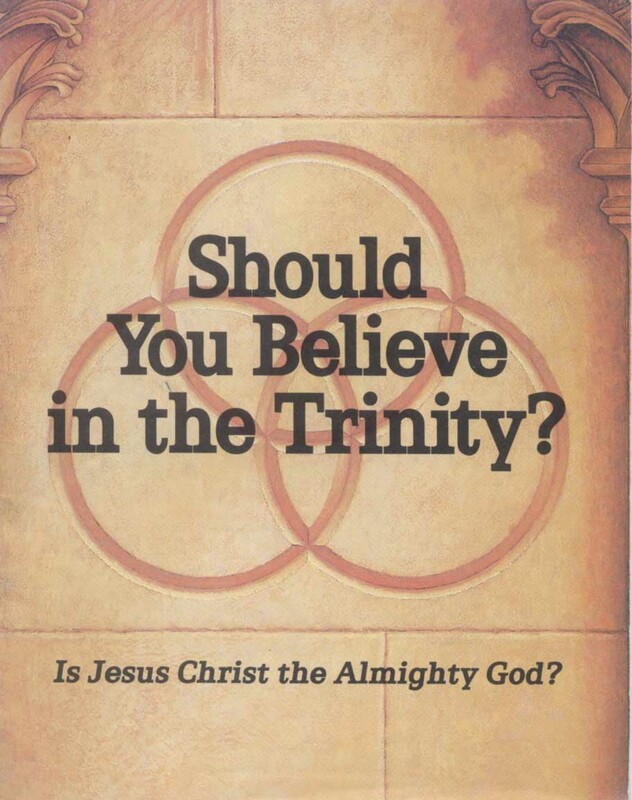 In fact I can clearly recall struggling with the concept of the Trinity even after I rejected traditional Christianity as a teenager of 16 or 17. You may wonder how it was that I struggled with the Trinity if I had rejected traditional Christianity. Thankfully I still continued to read the Bible. I didn’t understand it theologically and approached it with various biases. But I still found myself confronted with a being called God, with a man named Jesus and with “something” called the Holy Spirit. At the time I was immersing myself in a spiritualized drug culture. I practiced the use of various narcotic substances as gateways to the spiritual realm – to direct contact with God and with divine revelation. The consequences were dire and I steadily began losing touch with reality. I fully accepted that God was real and that there was only One God. You may be surprised to learn that I gleaned this truth, not from Judaism or Christianity but, from (seemingly polytheistic) Hinduism. With an entrenched belief in One God it was very difficult for me to understand Christianity’s claim that Jesus was God. Of course Hinduism’s influence left me thoroughly pantheistic in my theology and I could therefore accept Jesus as an individual keenly aware of his own internal divinity. Perhaps the leading figure of some kind of sorcerer’s coven (there were 13 of them after all) which demonstrated their obvious connection to God through various healings and other miracles. I could not however accept him as the One and Only True God – not in a way that was radically different from my, or anyone else’s, ability to realize divine consciousness. After all, there was only One God, the God to whom Jesus prayed and from whom he received his power and purpose. To accept that Jesus was this same One God seemed illogical. As a result of my drug use and steady decline into insanity I finally had a serious breakdown. Thanks be to God the experience left me much saner, rejecting drugs and eastern metaphysics, accepting salvation through Jesus Christ and returning to traditional Christianity. 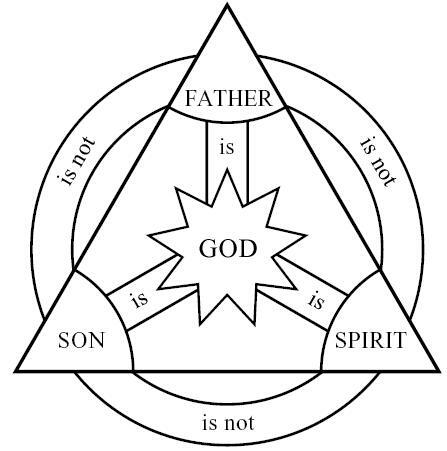 At the time I just took it for granted that the doctrine of the Trinity explained as much as we could know about God the Father, the Son of God and the Holy Spirit. I was happy simply trying to build relationship with God on the basis of my repentance and forgiveness in Jesus. When I first encountered the Jesus of the Mormons and Jehovah’s witnesses I brushed him off without much consideration. I knew there were alternatives to the Christian religion and even alternative understandings of the Bible. I had already had about as much as my mind could handle of alternate views of the truth and I wasn’t really interested in disappearing down the rabbit-hole again. But I didn’t remain in that state for very long. I’m a born researcher, I love reading and I have a deep desire to know! While I’m not sure how skilled I am as a teacher, I certainly have a passion for sharing what I learn with those around me. I think this was one of the main factors contributing to my desire to become a pastor. I had always believed that religious truth was more important than anything else and having now found the truth (or so I thought) I should spend my life sharing it with others. Bible College was a real eye opener. During my time at college I realized just how muddy the waters of Christianity really are. Suddenly I wasn’t quite sure exactly what the truth was anymore. I, along with a few friends, found that our understanding of Christianity didn’t always line up with the mainstream. I found myself easily able to follow the arguments of different schools of thought and enter into their paradigms so as to understand what they believed and why. It often seemed that both sides of a conflict had really valid reasons for upholding their views and no easy way to determine who was right and who was wrong. I clearly remember the first time, post-conversion, that I hit a major crisis regarding Jesus. I had taken a break from my studies and Nicky and I had decided to spend some time teaching English in Thailand while reflecting on our walk with God. While there I encountered the teachings of various messianic Christian groups. These groups held numerous positions contrary to the established views of traditional Christianity on topics such as, The Law, Grace and Works, the Sabbath, Jesus and God. For the first time I actively engaged with Christians who held a radically different understanding of Jesus and the Father. The interaction was fueled by the fact that these Christians were acknowledging problems in the common teachings of Christianity that I had already noticed when I read my Bible. At the time the interaction left me feeling seriously unsettled and upset. I discussed some of the problems with friends and through their explanations and recommendations I brought an end to my inquiry and placed a few band-aids over the unresolved issues. Recently however, in the Great Circle of Life, these band-aids have popped off again and without the unsettling and despair created by my first encounter with the subject I find myself once again struggling with the same issues. Central to this whole issue is the person of Jesus. Issues of Translation and Interpretation (T&I) still stand. It was on the basis of the life of Jesus and the Apostles Interpretation of that life together with their interpretation of the Hebrew Scriptures that they were able to preach Jesus as the Messiah. It was also issues of T&I that caused the separation of the Messianic community from the rest of Judaism, giving it its’ own identity. Later issues of T&I saw the newly established Way developing into Roman Catholicism. Very soon issues of T&I gave birth to Oriental Orthodoxy and later saw the division of the Roman West from the Orthodox East. It was issues of T&I that gave rise to the Protestant Reformation and these same issues have continued to birth new denominations, sects and cults right up to this very day. There is One God who created the entire universe. He made mankind in His own Image and Likeness. Mankind fell away from God through sin and continues in this state. God established a plan to reconnect relationally with humanity. That plan was communicated prophetically to Adam and Eve from the very outset and as God’s direct reply to their sin and the corruption of Satan. The plan was then set into motion through various individuals and especially through the nation of Israel. It culminated in the birth of Jesus as the long prophesied Messiah who was conceived miraculously by the Holy Spirit in the womb of the Virgin Mary. The result was a New Adam – a perfect man without sin. Unlike the first Adam the second Adam did not succumb to the temptations and deceits of the devil. His pure and untainted blood provided the sacrifice necessary to destroy sin and death. By accepting his sacrifice on our behalf we are covered by his holy blood and receive God’s Spirit to empower us to live holy and righteous lives. The Bible goes on to give guidance on what it means to live holy and righteous before God. So what is my issue? My issue is this: Is Jesus God? The source of my concern is two-fold. One is related to the Bible itself (hence my rant about interpretation) and the other is related to the documented history of pre-Nicene Christianity. Every traditional Christian after the Nicene Council of 325 was forced by threat of excommunication, exile or death to believe that Jesus was God. It is usually asserted, without much research, that the council simply confirmed and dogmatized the historical and apostolic teachings about Jesus. It is very easy to simply believe this since all traditional Christians have been Trinitarian for at least the last 1700 years. But does that make it true? Did the council really just write down what was already preached by the majority of Christians from the time of the Apostles? I would argue that the theory isn’t as solid as it sounds. Of course my queries would never have taken me to the history of the early church if I hadn’t already found in the Bible issues that seemed incompatible with the authorized view of the Trinity. I don’t understand how something that appears to be central to the theology of later Christianity needs to be gleaned from hints and suggestions rather than from plain and obvious statements. Given the overwhelming evidence in contradiction to the authorized theology – of three eternal, divine, co-equal beings of one substance – the Trinity begins to seem a later development. When you add this internal Biblical evidence to the historical evidence a clearer picture begins to emerge. The Jews were Monotheistic and while clearly understanding that God would save them through the Messiah, they never concluded that the Messiah would be God. Therefore the internal evidence of the Bible upholds this Jewish emphasis. However, after the time of the apostles the church began to lose its’ Jewish mindset as the gospel went out to the gentile nations. The Son of God as Lord over All was originally a Jewish understanding of their perfect human Messiah given Lordship overall all of creation as the first fruits of the New Creation – but later through the influence of Greek philosophy we see this understanding abandoned in favor of God the Son as part of a Binatarian and then a Trinitarian Godhead. The writings of the early church seem to show a gradual development in the theology of God. At first the Father is God and Jesus is Lord. But through such apologists as Justin Martyr we see the development of the Logos Christology (which Hellenizes the Jewish description of the Word/Plan/Mind of God in John 1:1 into a pre-existent Logos) in which Jesus is either a second God, a lesser God, a divine being of an angelic kind, or the personification of the Reason or Mind of God. These positions are known variously as Subordinationism, Binatarianism, Arianism, Adoptionism and other similar concepts. At this stage the Holy Spirit receives very little, if any, attention. Later, especially at Alexandria Modalism becomes dominant and in other areas evidence of pure Trinitarianism becomes evident. Finally at the Nicene Council Binatarianism is codified and Trinitarianism becomes the upcoming and dominant Theology. Naturally, without substantial Biblical evidence to support the new Trinitarian Theology, scribes began altering the text (Evidence of Trinitarian Corruptions of the Biblical Text). These corruptions are now widely acknowledged by almost all Trinitarian scholars. In addition to these corruptions a number of the writings of other early church fathers were corrupted, some of these corruptions are still used to try to support an earlier dating for Trinitarian theology. So…where does this all leave me? Simple put it leaves me wondering whether the Trinity really is the original understanding and teaching about the Christian God. Personally I have no desire to make Jesus anything other than God. It is what I’ve believed for the last 10 years and considering whether or not it is true is certainly no trivial matter. That said, I want to make it clear that even if Jesus isn’t God in the same way that the Father is God it doesn’t mean that he suddenly becomes unimportant. The Bible may not teach a clear Divinity for Jesus but it does show him to be the pinnacle of human history and the means of salvation for all mankind. In addition, whether or not the Holy Spirit is a separate person from the Father or simply the Power and Energy of God in no way eliminates our need and reliance on the Power and Indwelling of the Spirit for daily Christian living. In conclusion – these are my reflections given my current struggles and the information I’m dealing with at the moment. Who knows what I’ll learn tomorrow or the next day or a month or year from now. I’m really interested in dialoging with people on this one, so if any of this creates any sort of reaction in you lets chat. Perhaps you’ve got some insight that could help me understand all of this better. 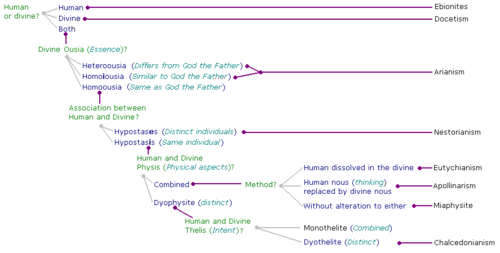 One last thing – this study of Biblical Unitarianism (the belief in One God, the Father) has highlighted a couple of other interesting subjects for me that I may blog about in the months to come. Like the erroneous teachings about going to heaven when you die – nobody has! And the forgotten facts about Jesus’ central message concerning the coming of the Kingdom of God to earth (as in heaven) in the prophesied millennium.